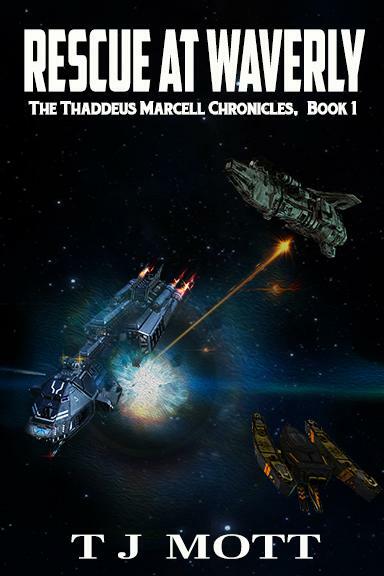 Rescue at Waverly: Book 1 of the Thaddeus Marcell Chronicles, is TJ’s first published novel, released to Amazon.com in e-book format on January 1, 2018. It’s the first story in a planned arc of six science fiction novels, introducing you to mercenary leader Thaddeus Marcell and his Organization, their place in the galaxy, and his quest to return to Earth. Written and published by TJ Mott.